How does Rahul Gandhi's religious status matter in Indian politics? His or his mother's religious identity has never been a determining factor for the Congress' rise or fall. 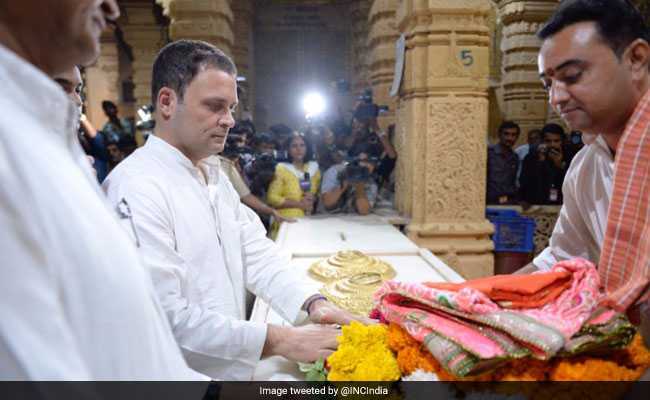 The question became relevant with his frequent temple visits during his campaign in Gujarat and finally with a controversy when his own party's media head declared him a non-Hindu during his visit to the Somnath temple. The party think tank failed to understand the Hindus' accumulated anger with the party is due to its social philosophy based on minority-ism, not with his or her mother's religious identity. It was under Sonia Gandhi's leadership that the Congress won more than one election. Hindu voters were not upset with her being a Christian. The Antony Committee report had unraveled this fact, however, it could not be discussed on the party forum. The party's secularism became synonymous with Hindu-bashing without any substance. It was a shock to the nation when a narrative of "Hindu terror" was initiated by two Home Ministers of the UPA government, Chidambaram and Shinde on the one hand, while on the other, then Prime Minister Manmohan Singh pronounced, "Muslims have the first right on the nation's resources." The Gujarat election has acquired an extra importance this time and it has been internationalized. Forces both within India and outside who are displeased with the rise of Hindutva and Narendra Modi are leaving no stone unturned to influence the voters of Gujarat to defeat BJP. The Archbishop's letter to defeat nationalist forces and the proactive polarization of the country's left liberal intellectuals and parties who have no stake in the Gujarat assembly election are intended to use the outcome of the election to unsettle the present dispensation. Therefore, they do not hesitate to justify anything which in their calculation would benefit the Congress - from caste patchworks to religious symbolism. The election will be decided by the voters of Gujarat, but an atmosphere of anti-RSS-ism is being created by left Liberal intellectuals. This is not unnoticed by voters. Therefore, they are wrong to think that they can influence Gujarati voters. If at all, any impact they make is likely to reverse to their own agenda and hope. There is a reason behind that. Earlier too, Indian intellectuals had links with ideology and leaders, but their inclinations and relationships did not rob them of their autonomy and ability to criticize even their near and dear in politics. The best example is Shankaran's cartoon on Nehru after India's humiliating defeat in Indo-China war 1962. Can we place these intellectuals in the mosaic formed by the likes of Dharamvir Bharati, Phanishwar Nath Renu, Subramania Bharati, Ramdhari Singh Dinkar, AAA Faizi! None of these intellectuals decried the Congress' assertion that Rahul Gandhi is a "janeudhari Hindu". The sacred thread is an important samskar, but this has never been a determining or defining factor of being a Hindu. There are large masses who have been deprived of this privilege in the past due to caste feudalism; also, there are Hindus who do not wear it. It seems that the Congress has made the sacred thread an essential factor in proving its leader's Hindu credentials. There cannot be a bigger misrepresentation of Hinduism than this. The most flexible and full of diversities religion, inclusive of all extremes, has been given a narrow definition. The Congress claim of Hinduism and Rahul's Hindu identity are both a classic example of post-truth, a phrase used by Western Scholars to depict an emotional chorus used to make the unreal real. If it is not post-truth, then is it a Ghar Wapsi of Rahul Gandhi in the era of a Congress post Sonia Gandhi? These questions become important because the Congress has been aggressively using Hindu symbolism in the Gujarat election. It cannot be trusted till it redefines its position on basic issues like the Uniform Civil Code, the Ram temple and cow protection and till it discards minority-ism. Instead of discarding minority-ism it has temporarily discarded minorities. This is use of conventional opportunism by the Nehru-Gandhi dynasty. The Nehrus (Motilal and Jawaharlal) benefited from their Brahmin identity, however, they never invoked it openly and directly. Nehru's reinvention of the Muslim vote bank has helped it in political empowerment. But Hindu sentiment has been also appropriated in a Machiavellian way. In 1983, Indira Gandhi projected herself as a savior of Hindus to win the J&K election and in 1984, Rajiv Gandhi's victory was attributed to the 'Hindu wave'. The dynasty believes in utilitarian principle to decide its faith and contours. This is more than obvious. It is really incomprehensible why Feroze Gandhi, Rahul's grandfather, has been deliberately dumped to the extent of not a single word uttered or a flower offered on his birth or death anniversaries (September 12 and September 8). There is another dimension which is no less important. Hindu consolidation by the RSS is forcing ideologies and parties to correct their definition and practices of secularism. Even the Indian Marxists' language of discourse is changing. But the abrupt identification with 'Dvij Hindus' (twice-born) by Rahul is not a considered transformation of his philosophy. It's an "Electoral Hinduism" meant to create confusion and harvest votes. Will Rahul do the same in West Bengal and Mizoram? RSS-BJP is consistent, Rahul and the Secularists are exhibiting their tried-and-tested opportunism. Post Script: Hindus, care more about your concern for nationalism, not ritualism. As E. A. Gait, the census commissioner during 1911, concluded, "No one is interested in what his neighbour believes (faith), but he is very much interested in knowing whether he can eat with or take water from his hands''. 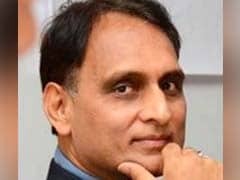 The Congress think tank has abused the idealistic objective of Indian politics of a casteless society by invoking something not required, not desirable.